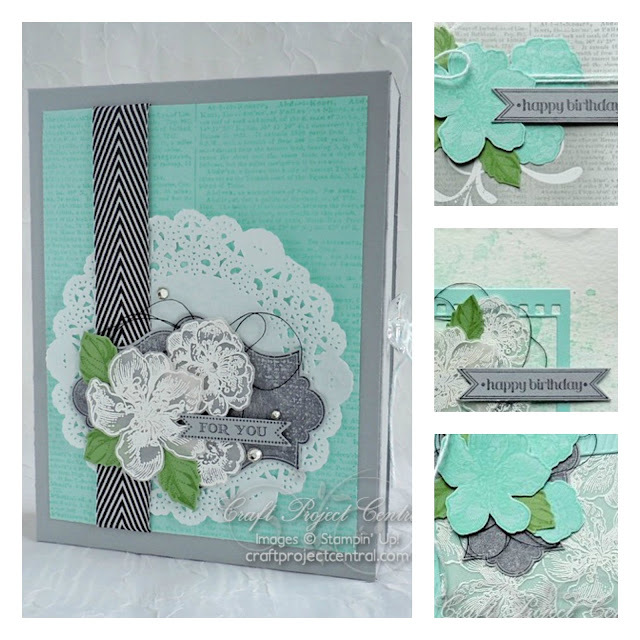 Make this elegant card set showcasing four different lay-outs, using the same stamp sets and same colors. Learn how to make your own water color background. You will also learn a new technique: emboss resist. The cards come in a sliding box case that’s easy to make and reproduce. Great for a stamp camp, or as a class project.